Paris, 31 January 1847. François Servais makes his appearance on the stage of the Paris Conservatory. Hector Berlioz is in the hall, and will later write in the Journal des Débats: “The second concert showed us a talent of the first rank, a Paganinian, who astonishes, moves and enthuses through his boldness, his surges of sensitivity and his impetuous pace: I refer to the great cellist Servais”. This was not the first time that Berlioz had attended a concert of the famous virtuoso; the composer was also present when Servais made his debut in Paris during the winter of 1833-1834. This journey to Paris had been, for the young Belgian, at the age of 26, a logical step: four years earlier he had won a First Prize at the Royal Brussels Music School – the future conservatory – and, since, had been the assistant of his teacher Nicolas Platel as well as cello solo for the orchestra of the Théâtre Royal de La Monnaie. 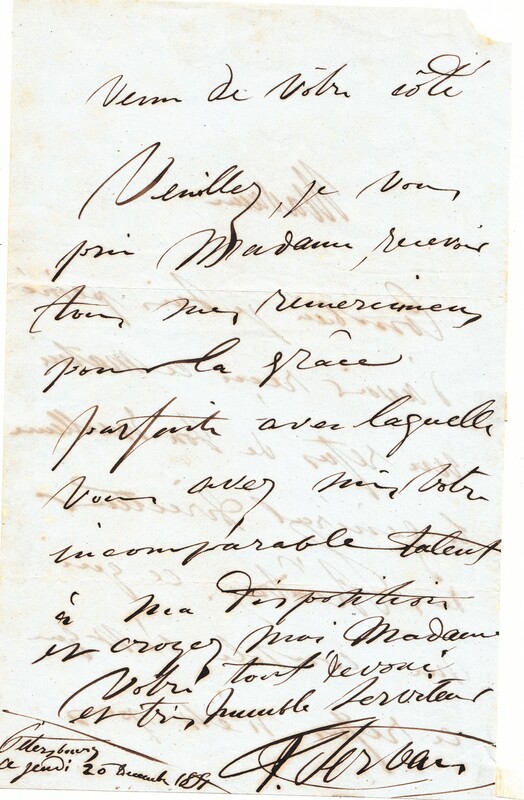 Nothing seemed to have predestined him for such an itinerary: born on 6 June 1807 in Hal, a small town near Brussels, Servais was the son of a shoemaker and a housewife. The family was modest, and Servais senior helped to ease the ends of the months by playing in the church and at balls. From the age of twelve, little Servais accompanied him, as both violinist and clarinettist. At the age of 19 Servais took advantage of the opportunity of going to Brussels to study the cello. From 1834 Servais’ career took flight. In 1835 he appeared at the Philharmonic Society in London, in 1837 he gave a concert with Liszt at The Hague, and in 1840 met Richard Wagner. In 1842 Servais was invited to take part in the first concert of the Wiener Philharmoniker and two years later he played Beethoven’s ‘Archduke’ Trio with Felix Mendelssohn and Ferdinand David at the Gewandhaus in Leipzig. Servais travelled around like this until shortly before his death, which occurred in Hal on 26 November 1866. He had been on eight grand tours in Poland, Russia, Austria-Hungary, in the Baltic countries and in Scandinavia, without counting innumerable trips within Belgium, the Netherlands, France and Germany. 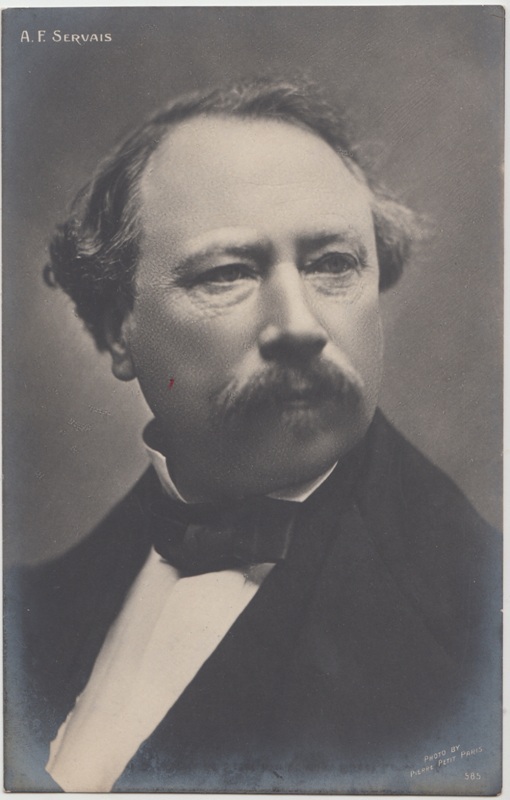 Young cellists came from all countries to follow his lessons at the Brussels Conservatory, where he taught from 1848 on. Berlioz expressed it well in 1847: Servais wanted to surprise, move and transport; he led this assault brazenly and with impetuous sensitivity. At this high point of Romanticism Berlioz called Servais a ‘Paganinian’, and later, Gioachino Rossini and others were to see in him the “Paganini of the cello”. The link with the virtuoso violinist Niccolò Paganini became established: the digital virtuosity of Servais was in nothing inferior. He had considerably extended the technical possibilities of the cello: perfecting the play of the left hand, he also had an uncommon smoothness in his use of the bow and, especially, he imposed and systematised the use of the spike. As for trills, appoggiaturas, ornaments of various kinds, glissandi, passages in octaves and in harmonics, arpeggios, nothing was foreign to him. The instrument that supported the novelty of this deployment of resources was a Stradivarius cello dating from 1701. In Servais’ day, the repertory of the cello was still highly exiguous and ill-suited to demonstrating the peerless qualities of such a virtuoso. It is this that led him to compose four concertos and dozens of other works for cello and orchestra or piano, as well as duets for violin and cello or for two cellos. With but a few exceptions, Servais only performed his own works. 70 of them were published; there were several hundreds of editions of them, from some 70 publishers throughout the world, and this, from 1836 to the present day. Servais’ music continues to be diffused today.